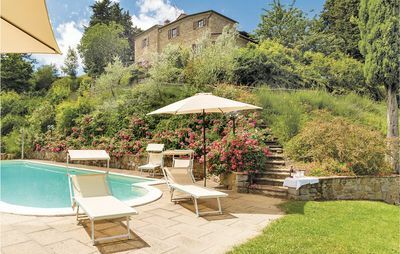 Villa Iva B is a welcoming apartment that is part of an ancient country house built on a hillside, surrounded by meadows and woods. It sleeps four people. It is appoximately 50 square meters (540 square feet). It features two shared swimming pools, a shared garden, a reserved outdoor area and winter heating. 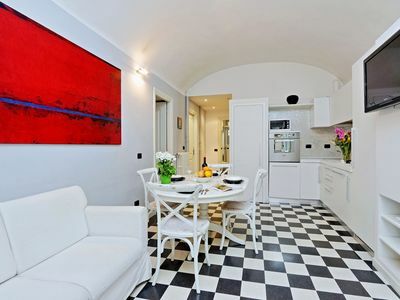 You will be roughly 4 km (2.5 miles) from Montaione, where you will find restaurants and a grocery store. You will find the closest restaurant a few meters (feet) away. 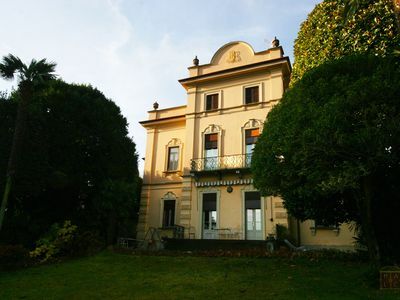 Villa Iva B is located on the first floor of an ancient farmhouse. You will reach it from the main entrance of the building going up approximately 20 stairway steps. To stay at Villa Iva B you will need a car. You will be able to park it on the premises, in a private parking lot. 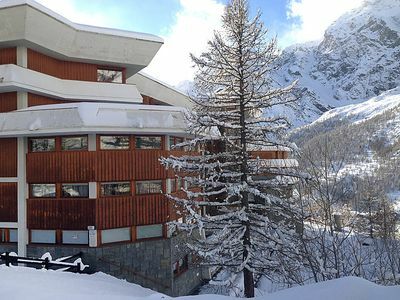 Villa Iva B is one of the holiday homes available in a small complex. 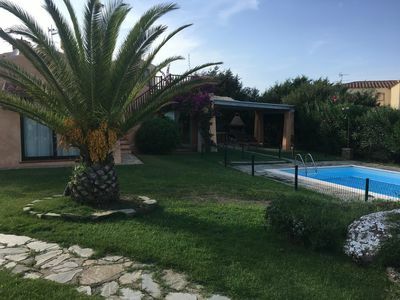 Please find a general description of the complex below, and please scroll further down for a description of Villa Iva B.
Villa Iva has 16 apartments perfect for vacations in 5 large farmhouses. The farm, which has belonged to the owners&#39; family for many generations, has been carefully restored and divided into holiday apartments. 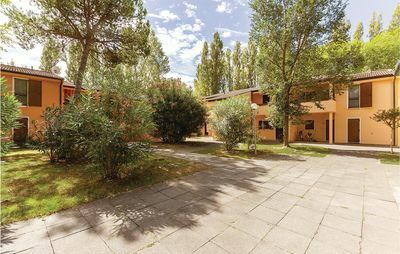 It is surrounded by seven hectares of lawn and gardens that descend towards to the Egola River, where you&#39;ll find two beautiful swimming pools, a tennis court, and abundant space for relaxing and with lots of room for kids to play. The swimming pool is 7 meters (23 feet) large by 15 meters (50 feet) long. The swimming pool area is equipped with a table, chairs, sun umbrellas, deck chairs, sun loungers and an external shower. 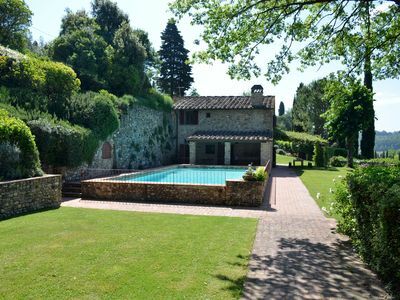 From the swimming pool you will enjoy an enchanting view of the Tuscan hills and of the vineyards. You will share the pool with the other guests staying at the complex. It is open from the beginning of June until the end of September. The swimming pool is 5 meters (16 feet) large by 12 meters (39 feet) long. The swimming pool area is equipped with a table, chairs, sun umbrellas, deck chairs, sun loungers and an external shower. 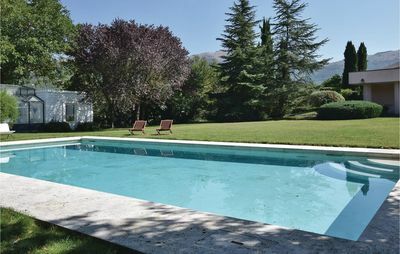 From the swimming pool you will enjoy a pleasant view of the Valley and of the vineyards. You will share the pool with the other guests staying at the complex. It is open from the beginning of June until the end of September. The garden is 5000 square meters (54000 square feet) large. 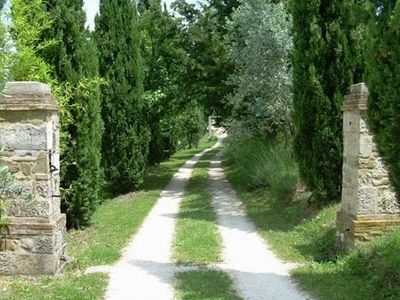 It is partly shaded by elegant trees and pergolas and by cypresses. It is equipped with a table, chairs and sun umbrellas. In the garden you will find a fenced children's playgrounds. From the garden you will enjoy a wonderful view of the Valley. 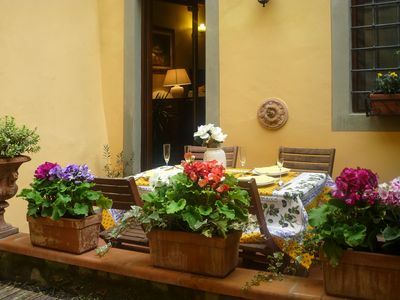 You will share the garden with the other guests staying at the complex. 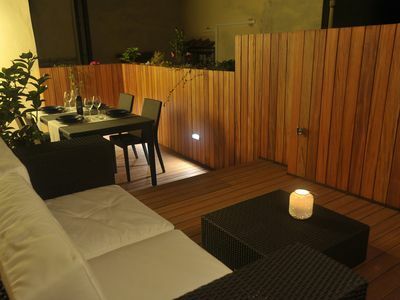 In the garden there will be a reserved area for your own exclusive use. The garden is partly shaded by trees and by a pergola. You will be able to reach it from the garden. It is equipped with a table and chairs. 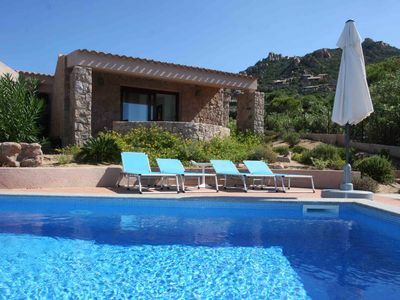 From the garden you will enjoy a pleasant view of the surrounding countryside. 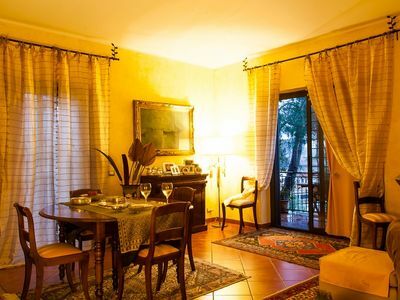 The furnishings of the living room are rural and characteristic of the Tuscan house. The furnishings include a sofa and two armchairs. There is a big fireplace made of bricks. In this room you will find a satellite television. The room has a window with a view of the garden. You will be able to enter the kitchen from the living room through a brickwork arched opening. It is equipped with a four-burner gas cooker, an electric oven, a refrigerator with freezer, a microwave oven and an Italian-style coffee-maker. There is a table to seat four guests. You will be able to enter the first bedroom from the corridor. The ceiling has characteristic exposed wood beams and terraccotta tiles. The furnishings are elegant and welcoming, and include some antique pieces. The room has a wrought iron matrimonial bed (160 cm/62 inches, wider than a queen-size bed). The room has a window with a view of the garden. You will be able to enter the second bedroom from the corridor. It has two wrought iron twin beds (80 cm/32 inches). 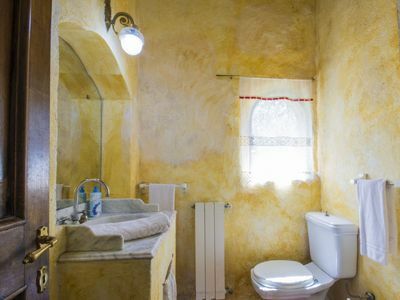 The bathroom is equipped with a washbasin, a toilet and a fully enclosed shower. You will be able to enter the bathroom from the corridor. 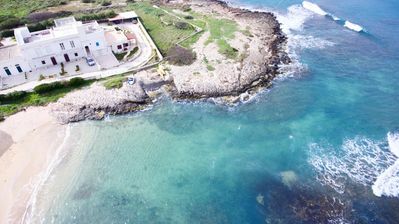 Newly restored holiday home with various extras, right on the beach, 5 P.
B&B Manuela - in the countryside of the Tiber Valley.